The Laser-Melting process. A new dimension in terms of efficiency and feasibility. Layering instead of cutting: Simply put, that is the principle behind laser melting, also called LaserCusing®. This groundbreaking technology enables components to be manufactured from virtually all metallic materials. Manufactured to excellent quality standards, very quickly — and cost effectively. Are you familiar with the popular term "3D printer"? If so, you should know that our laser-melting process is utterly incomparable, even if 3D printing is counted among our additive or generative manufacturing methods. 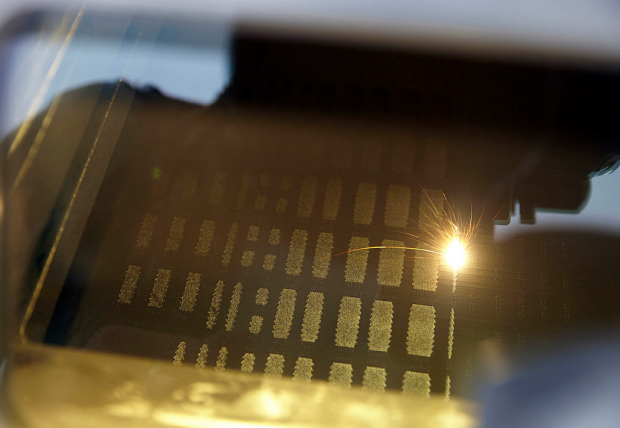 During the laser-melting process, products are created by adding materials — layer by layer — using the precision laser, from CAD data sets and single-component powdered substances. The principle of "layering instead of cutting" for this innovative method in creating the finished product sounds deceptively simple. In reality, however, LaserCusing®, as we call it at LAC, is state-of-the-art technology. It not only facilitates completely new ways of thinking and methods when producing high-quality components from a variety of weldable, metallic raw materials. LaserCusing® also enables you to realize time savings that were previously inconceivable, thereby bringing about considerable cost benefits. Another benefit is the amount of freedom the technology allows when it comes to versatile designs. 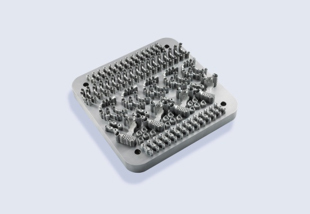 Designs unthinkable in milling processes, for instance, are fully producible. And the finished products are always tailored to your precise requirements — across a range of industries. You can even standardize complicated manufacturing processes thanks to the laser-melting process — and without sacrificing quality. In fact, the opposite is true: Traditional methods such as CNC milling or casting techniques regularly affect the time it takes and the materials needed, and still leave something to be desired when it comes to quality. LaserCusing® is not only much more efficient, it also provides cavity-free results, such as in dental technology. Good news: Even post-processing is kept within limits and achieves optimum surface quality thanks to the patented process. In addition, you have virtually limitless options when it comes to the design. Thanks to laser-melting, it is possible to realize any complex geometries. 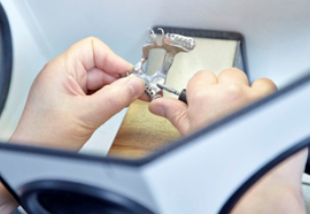 This is highly beneficial not only in the manufacture of unique items; in tool making too, for instance, the technology sustainably optimizes quality and costs from the prototype stage to series production.